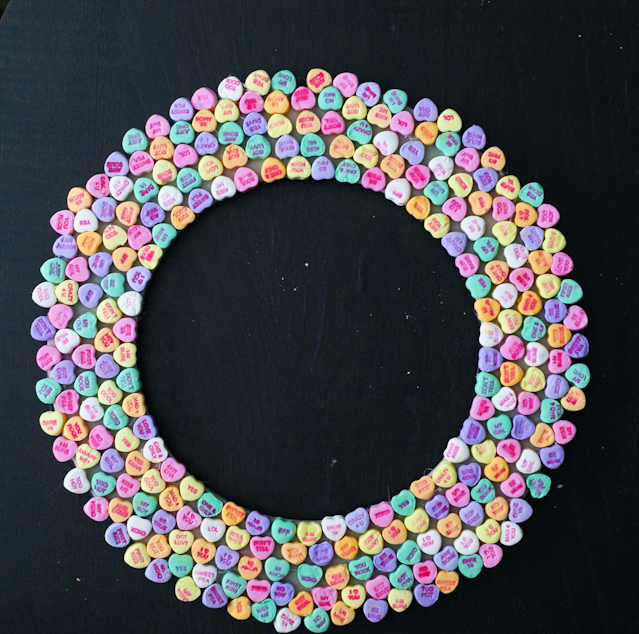 If you love candy hearts but maybe you’re trying to to eat so many sweets right now, this candy heart wreath is a perfect Valentine’s Decor piece. This is actually a pretty easy craft that took only about an hour and a half. 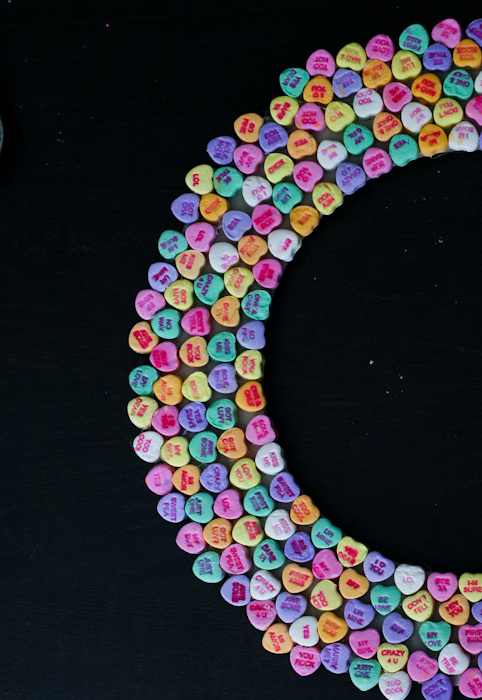 This craft is actually perfect if you have some leftover hearts too! Start at the bottom and work your way around in layers. Glue dots to the backs of each heart until the wreath is full.